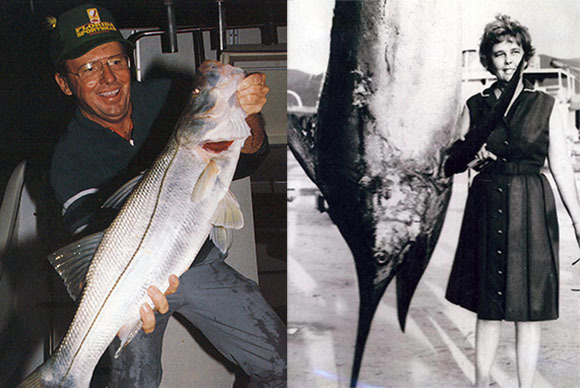 The international angling community recently lost two significant figures with the passing of Australian female angling pioneer Daphne Nielsen and IGFA Fishing Hall of Famer Karl Wickstrom on Monday, June 25, 2018. Daphne Nielsen was a mainstay of the Cairns game fishing scene during it’s foundation and formative years in the late 1960’s. Daphne was a life member of the Game Fish Association of Australia (GFAA), worked as the Secretary of the Cairns Game Fishing Club, and served as an IGFA Representative in Cairns for nearly three decades. Daphne will be remembered as a pioneer of female involvement in big game angling and for her tireless dedication to promoting and protecting the Cairns recreational fishery. Karl Wickstrom is most well-known for creating the acclaimed Florida Sportsman magazine – a publication that will celebrate its 50th anniversary in 2019 – however it was Wickstrom’s tireless advocacy for recreational angling that left the biggest impact on recreational angling. Wickstrom brilliantly used his platform at Florida Sportsman to battle numerous game fish conservation issues over the decades, including banning the use of destructive drift gillnets and ending the commercial sale of red drum in Florida, as just two examples. In 2008, Wickstrom was inducted to the IGFA’s Fishing Hall of Fame and will be remembered as a pioneer in fishing publications and as a tireless advocate for recreational anglers and game fish conservation.